Bariatric surgery is successful tool for combating obesity and weight gain. However, some patients may need a secondary, or revisionary, procedure. At Keyhole obesity surgery centre we specialise in revision weight loss surgeries, but there are increased risks associated with secondary surgery. So patients will need to carefully consider whether it is the right option for them. Doctor Tsang will discuss potential treatments with you and help you decide the surgical approach best suited to their circumstances. Our weight loss centre has been established for more than 25 years, We have managed numerous patients who have had the gastric banding procedure. 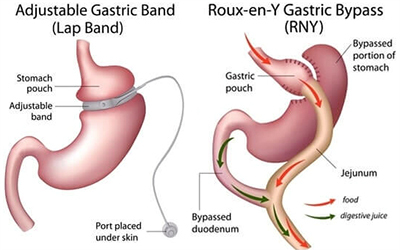 We are expert in revision gastric banding procedure, sleeve and bypass. We have very low complication rates and good success following the conversion surgery. We combine the resources of your surgeon, dietician and psychologist to create a strategy that will give you a new beginning to your weight loss journey. Please contact our centre for estimation of cost: (02) 9221 3919. Types of weight loss surgery conversion. Lap Band Revision Surgery: The options we offer. There is currently no “gold standard” lap band revision since published research on the topic is limited. The option recommended by your surgeon will vary from patient to patient depending on reason for revision and your surgeon’s experience. In our practice and in Australia most common conversion is to sleeve gastrectomy followed by gastric bypass. Which Type of Procedure is Best for You? Which Type of Lap Band Revision Surgery is Best for You? There are two types of weight loss surgery procedures: restrictive (e.g., lap band, gastric sleeve) and malabsorptive (e.g. gastric bypass). In our experience many lap band revision patients initially experienced excellent weight loss and health improvement following their lap band surgery. The most common reasons for gastric band revision was as a result of reflux symptoms, gastric pouch formation or slippage. In the past these patient would undergo repositioning of the gastric band as was able to improve their symptoms and regain controlled of their weight. Many patients states “I have had the band for many years and is very happy with it. If it wasn’t for the gastric band I would have developed lost control of my weight and have diabetes, Hypertension or a heart attack”. This time I want to try the sleeve gastrectomy. For these patients, another restrictive procedure like gastric sleeve surgery may also be very effective. Other lap band revision patients never really succeeded with their band. The reason being persistently vomiting or getting food caught above the band and too frequent adjustments. The weight loss or health improvement was minimal or did not meet expectations. 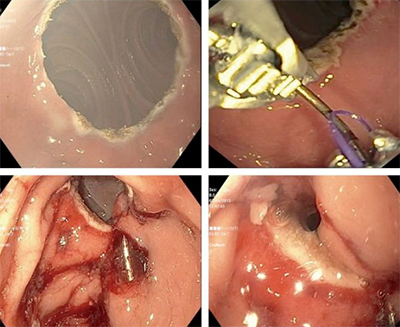 For these patients, another restrictive procedure may not be the best option, and they may choose a malabsorptive procedure like gastric bypass. 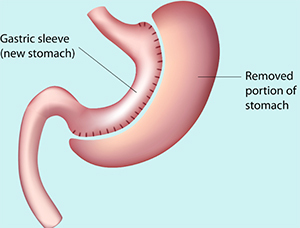 We surgeons recommend a two-stage procedure for sleeve and gastric bypass. Under certain circumstances a single stage can be perform for conversion to gastric bypass. Rebanding – One stage procedure, removing the old band and replacing it with a new one. Among the limited available research, it appears that results are similar for lap band surgery as a primary procedure and secondary (rebanding) procedure. If your initial gastric band was not successful, most surgeons would not recommend another band. Not happy with your Lap-band or Realize Band? Haven’t lost enough weight? Tired of pain when you eat or food getting stuck? 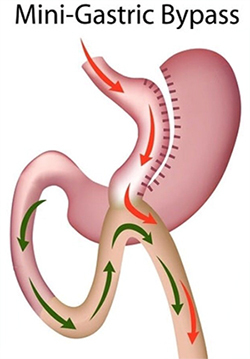 Why choose to convert from an adjustable gastric band to the Sleeve gastrectomy? Low caloric diet for 2 weeks follow by removal of the band and unwrapping the stomach to its anatomical position. Excess weight lost following revision to gastric sleeve surgery may be as high as 60% compared your pre-band removal weight. Risk of complications were most often reported as being under 16%, typically higher compared to primary sleeve gastrectomy. Post-Operative Care Post-operative procedures and instructions will vary depending on the surgery. Most patients will need to take time off work and prepare for several weeks of rest. Typically, patients should also expect to return to a post-gastric surgery diet of liquid and pureed foods. Generally, weight loss will be less extensive after revision surgery, compared to primary surgical procedures. Your doctor will discuss the specifics of postoperative care with every patient. 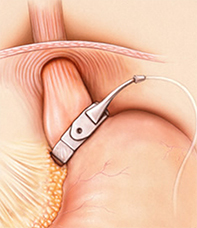 Gastric banding was once a very popular procedure for weight management. It has been very successful in weight management for most patients. However over time there are complications associated with gastric band. Gastric reflux, band slippage, erosions and most commonly inadequate weight loss or weight regain have become an increasing problem. There is also a group of patients who neglect the band and live a life of consultant vomiting and dysphagia as a result of leaving the band too tight. This group of patient also has a tendency to have high intake of sugar in their diet. These patients may need other surgical options to manage their weight. The conversion of gastric band to bypass is another surgical option. The benefit is that this procedure has both restrictive and mal-absorptive effect. 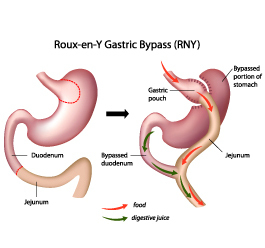 Most patient who suffers reflux symptoms from the gastric band improved once the gastric bypass surgery is performed. They are also able to eat a more difference variety of food. Not All patient is appropriate for this type of surgery. Dr Tsang will have a discuss with your and work on the best option for you. Together with our dietitian, psychologist and exercise physiologist we can help your in achieving your goals. Weight Gain after sleeve surgery. Gastric sleeve surgery is now the most common weight loss procedure done in Australia. A portion of patient may regain weight over time. This procedure is only done on a selective group of patients. Very few patients are suitable for Re-sleeve surgery. Rarely is the whole sleeve redone. Most cases there is a dilated upper pouch or lower antrum pouch which can be re-sleeve. This surgery is done laparoscopically and is relatively safe compared to other revision surgeries. The mini gastric bypass surgery is a newer procedure most common done in North and South America. It is a very simple conversion to perform. It is probably the best conversion for Gastric Sleeve patients. IT has the higher chances for high expected weight loss. The sleeve is divided in the lower third and require one join to the small bowel. It is the safest bypass procedure. 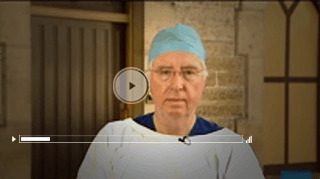 Please see the gastric bypass section of our website. 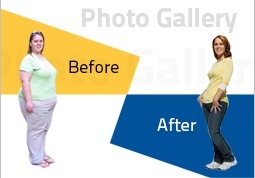 See our gastric bypass page. Duodenal switch (biliopancreatic diversion with duodenal switch) is a more complex procedure with much higher morbidity and mortality. We do not offer this procedure. If you begin to regain weight after gastric bypass surgery, there is very little that can be done. A thorough evaluation of factors — medical, behavioural, dietary, psychological, lifestyle — are involved in the weight gain. You may have gained weight because your body has adapted, your stomach and intestine that allow you to eat more and absorb more calories. You may have stepped back to your old-fashioned way — both by reducing your calorie intake and increasing your physical activity may help. In some cases, a second surgery to repair — or redo — a gastric bypass may be appropriate. If the pouch is enlarged it might be possible to reduce the size surgically with redo surgery. If the anaestomosis is widen allowing you to eat more and have reduced feeling of satiety. It can be reduced endoscopically with overstitch. However, a second surgery has an increased risk of complications, including infection, bleeding and leaks in the gastrointestinal tract. Because of these risks, gastric bypass surgery usually isn't redone if you regain weight because of poor diet or exercise habits. Gastric bypass surgery can be an effective treatment for obesity, and most people do lose weight after the procedure if they are adequately prepared for the changes that are necessary. But you'll always be at risk of regaining weight, even years later. To help reach your weight-loss goal and prevent weight regain, it's crucial to make lifestyle changes along with having gastric bypass surgery. In conclusion, all the above procedures have their own risks and benefits. A proper evaluation must be done to determine the safest for you. Please contact our office for appointment on 0292213919.